My co-worker Lilia brought in a bag of sweet lemons from the tree in her yard. I grabbed an armful to take home—where they sat on my kitchen counter untouched for about a week. When I noticed them starting to turn, I knew I had to act fast, so I searched for a recipe that would use them all up. 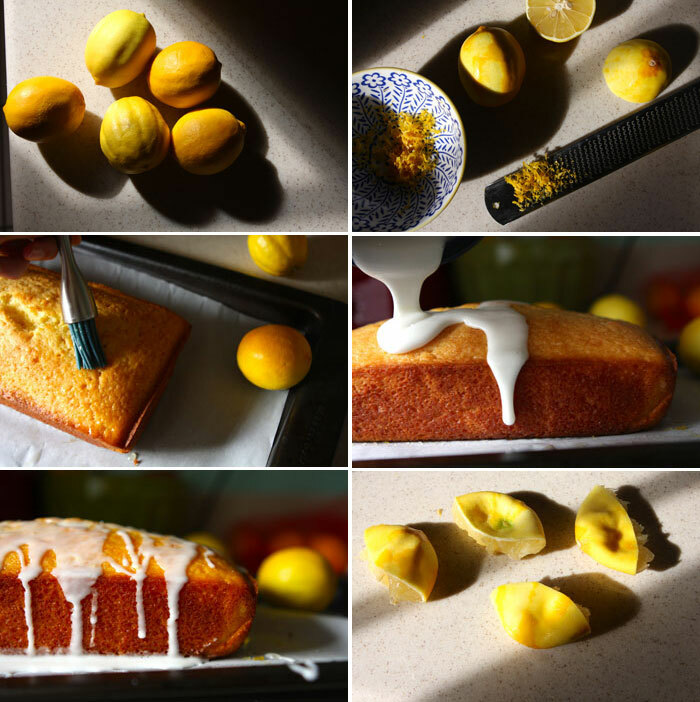 The Lemon Lemon Loaf, created by Baked owners Matt Lewis and Renato Poliafito, came to the rescue. 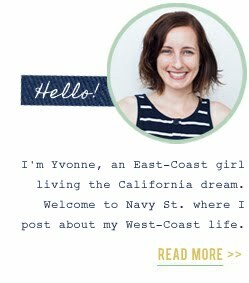 Their first cookbook, Baked: New Frontiers in Baking, is one of my favorites. 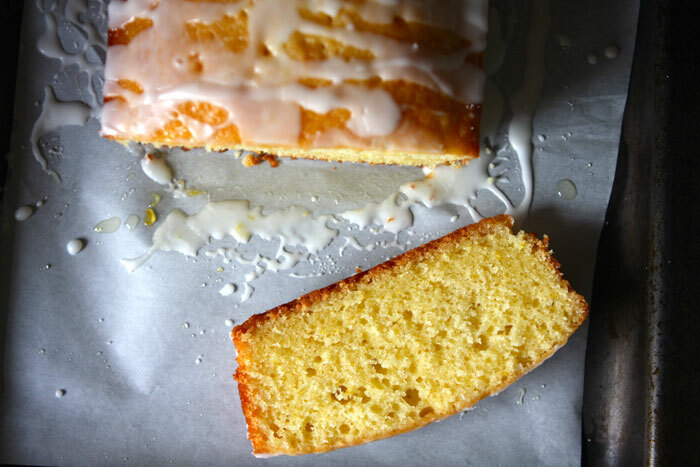 The Red Hook, Brooklyn, bakers' recipe calls for freshly squeezed lemon juice for the cake, for the syrup to pour on top AND for a zingy glaze. Sold! I brought in a slice to work for Lilia. She liked it. 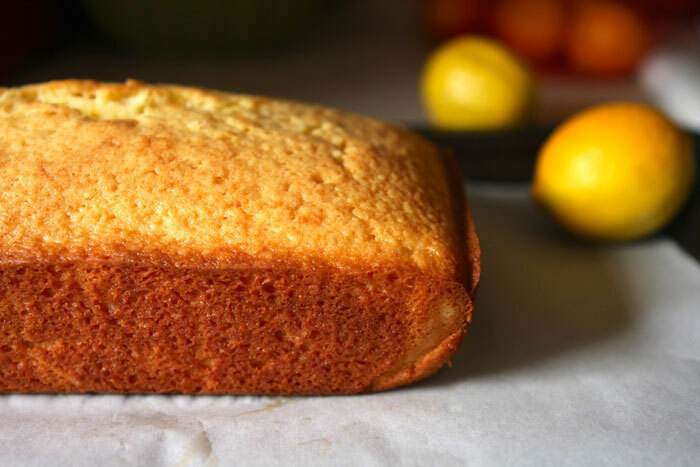 The next day, she came in with a new bag of lemons and one request: more lemon cake please. Preheat the oven to 350 degrees F. Spray the sides and bottom of two 9-by-5-by-3 inch loaf pans with nonstick cooking spray. Line the bottom with parchment paper and spray the paper. Sift both flours, baking powder, baking soda and salt together in a medium bowl. Put the sugar, eggs, lemon zest and lemon juice in a food processor and pulse until combined. With the motor running, drizzle the butter in through the feed tube. Add the sour cream and vanilla and pulse until combined. Transfer the mixture to a large bowl. Sprinkle in the flour mixture, one third at a time, folding gently after each addition until just combined. Do not over mix. In a small bowl, whisk together the confectioner's sugar and 4 tablespoons of the lemon juice. The mixture should be thick but pourable. If the mixture is too stiff, add up to another 2 tablespoons of lemon juice and whisk again, adding small amounts of lemon juice and/or confectioner's sugar until you get the right consistency. 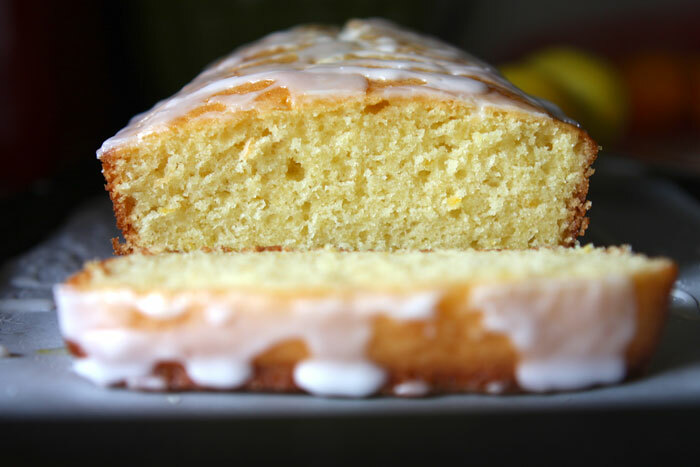 Pour the lemon glaze over the top of each loaf and let it drip down the sides. Let the lemon glaze harden, about 15 minutes, before serving. Bring me some lemons, I'll make you a cake!